Luxury American Stretch Limo hire service in West Midlands Area. We have the latest Hummer Limo, Baby Bentley Limos, Pink Limo, White Stretch Limo and many other Wedding cars and Limousines. Call our limo hire team in Birmingham for cheapest prices. 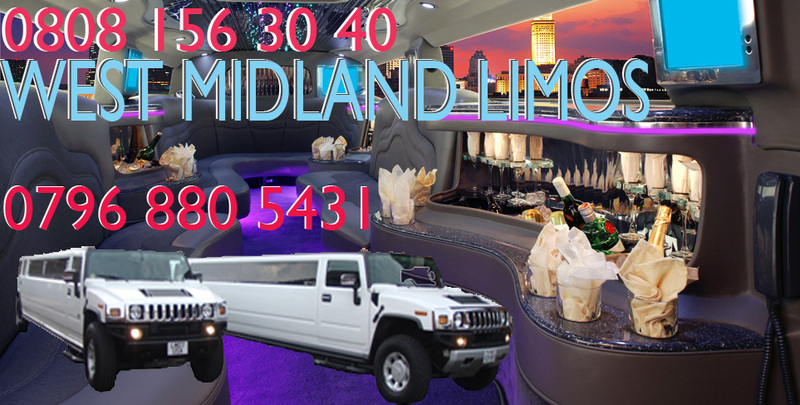 West Midland Area is our local limo hire area but we can also send limos Nation-wide. If you want the latest limos for Proms, Weddings, Birthday Parties, Night outs in and around Birmingham give us a call and get better value for limo hire.